Calling Mary a “people person” is an understatement. But it is her ability to relate to and understand others that makes her a friend. 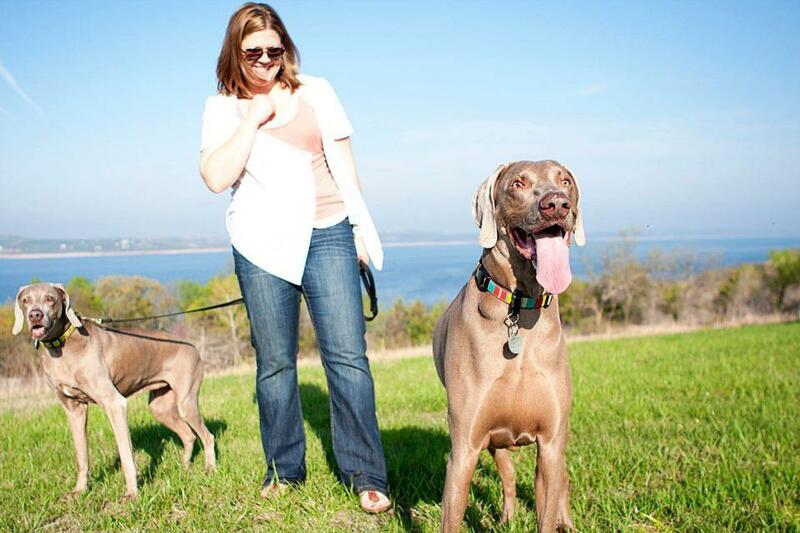 Mary with Gracie and Auby, two of her three Weimaraners. Mary loves a good adventure; whether it’s hiking with her dogs, exploring a new city, or trying different foods, she is happiest when her need for learning and seeing is fulfilled. Her career began in her father’s photography studio when she was 12 and even then, Mary enjoyed interacting with a wide variety of people. She also has the unique distinction of having won both the art and science fairs while in school, and still enjoys using both sides of her brain. Mary’s background is in advertising where she uses her love of planning and creating as a project manager for internationally recognized agencies. Mary struggled with infertility for many years and credits her journey with forcing her to become a more patient and humble person. She is now a mom to both two and four-legged kiddos, all of whom were adopted. A practitioner of yoga, connector of people, reader, creator, wife, mom, daughter, sister and friend, Mary, like so many women, is attempting to have it all by being happy with what she’s got.